Our military service men and women depend on the protection of tactical vests on a daily basis. 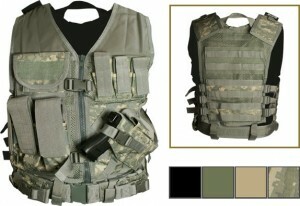 The military vests vary in design, color, and weight, as well as by different levels of protection for the upper body. 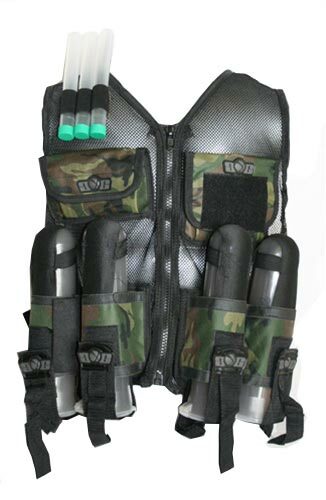 The material and design of a tactical vest protects the torso region of the body. After the head, the chest is the most exposed area of a person’s body. The purpose of a military tactical vest is to protect an individual from unseen objects and ammunition, but still allow the wearer to move about freely and swiftly. 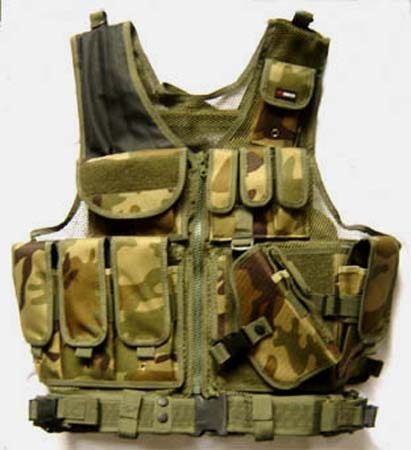 The style of tactical vest used depends on the type of terrain and climate where the vest is used. A forest situation calls for the use of green camouflage, while desert combat needs brown camouflage. Those stationed in a hot, humid climate fare better using a thin, lightweight vest. While protection remains nearly the same as a heavier vest, the lighter one is more appropriate in the hot weather conditions. Military personnel who serve in colder climates use a heavier, insulated vest. Not only does the vest protect one from flying objects, it keeps a person as warm as possible when exposed to inclement weather. Most vests are waterproof which adds to its defensive protection. Military vests made of high quality materials, such as nylon, aramid fibers, or ballistic material offers the best safeguard, and allows the least amount of trauma to the upper body if unexpectedly hit by an object. The flexible vests will go underneath or on top of other clothing, although most individuals prefer to wear them on top. Like regular clothing, vests come in different sizes to afford the most comfort and protection, while allowing the wearer to remain mobile. Nearly all vests contain pockets and pouches to hold indispensable equipment needed on the battlefield. Different manufacturers design tactical vests in different ways, so storage space will vary from vest to vest. Spare magazines, ammunition, radios, flashlights, trauma kits, water bottles, tactical knives, and grenades are some of the items that can be stored in the pouches of a military vest. Described as the best tactical protection used by law enforcement and military, the swat tactical vests is what protects the brave men and women in uniform when facing dangerous situations. Each vest provides a perfect fit with adjustable velcro patches and tie downs. Included are adjustable sides for easy fitting when in need of extra comfort or tightening. A ballistic groin protection can be added and provides the extra security needed for the cautious minded. It detaches easily, much like the bicep protection sleeve. With both of these to guard you, you’ll feel that much more protected when in dangerous circumstances. A typical swat tactical vest usually has a number of pouches available for all kinds of gear, making the one in uniform ready at all times. The vest has plenty of compartments for things like the storage of ammunition, small weaponry and even survival gear and first aid. When the swat tactical vest is fully equipped, it can save ones life either in combat or in survival. With its snug fit and gear in place, a vest like this will protect those in uniform who deal with deadly combatants on a daily basis. This well-equipped vest can hold anything from small items to larger ones. The pistol holster securely holds the pistol in place and is usually found on the front side of the vest. 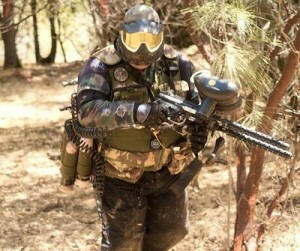 The swat tactical vest can hold flashlights, ammo as well as a samurai sword! Imagine that! A fully equipped vest is the wearers best friend when in combat or fighting for survival. Emergency supplies can easily and comfortably be stored away for emergency use. 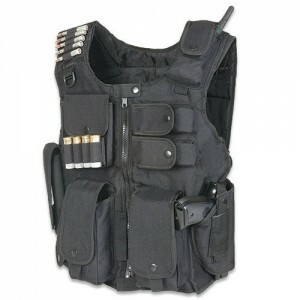 Everything one would need to survive and fight with can be carried on this vest making the task simpler and safer. 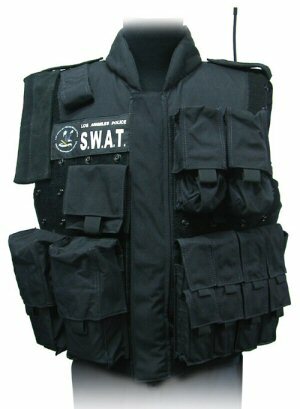 A swat tactical vest should be worn by all those in the line of duty.